For majority of the people who are sick with cancer or other diseases, the liver needs cleaning and nourishing. 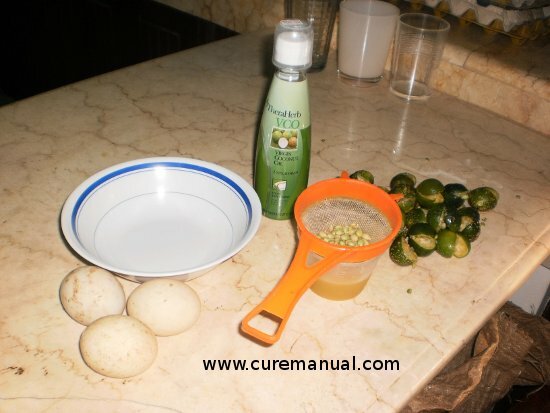 What better way to do this than with egg yolk liver flushing as the liver is nourished and cleansed at the same time. If this is the first time you are doing a liver flush, you might want to take 1 carton of apple juice (not from concentrate) every day for 5 days as part of your daily diet. Apples have properties in them that soften liver stones and make the liver flow. This is good preparation. Kindly elaborate or explain more after drinking liver flush compose of egg yolk, lemon juice and VCO in the morning upon waking up, do I have to eat any other food like veggies, fruits and meat. And what do you mean by no fasting?